Broadcasters, journalists and wrestling junkies rave about the quality of content and the statistical value of the Mat Talk Online NCAA Division I Preview Guide. ESPN's broadcast and production crew relies on this guide for their commentary during the Championships. It's that good. Now you can get the same information, every result, every wrestler to help you pick right and win your Fantasy Championship. Pre-order now at wrestlingpreviewguide.com/fwnc to save $5 on the best wrestling accompaniment in the business. Digitally delivered March 13. 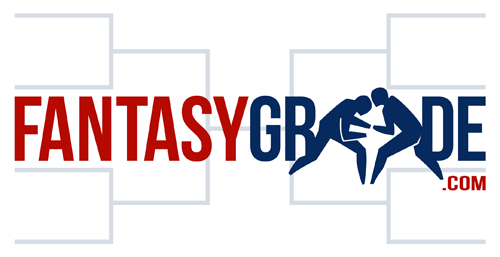 2019 FantasyGrade.com, LLC All Rights Reserved.